PLEASE NOTE: If you would like to enroll for the series, please check the TOP box on the registration section. If you want to register for a specific Saturday, please check the indented box that corresponds to the chosen workshop. Please be sure to select the correct ticket type under the "I am a" dropdown menu! Thank you. A light luncheon is provided at each course, but you are welcome to bring a bag lunch or to walk to restaurants on Polk or Fillmore, or to Whole Foods on California & Franklin Streets (a 10 - 15 minute walk with hills). The C.G. Jung Institute of San Francisco designates this live activity for a maximum of 22.00 AMA PRA Category 1 Credit(s)™ Physicians should claim only the credit commensurate with the extent of their participation in the activity. While the work of Carl Jung was primarily focused on adults, his theoretical ideas paved the way for the later development of Jungian child analysis. His earliest writing on the self and archetypes, as expanded through the post-Jungian work of Neumann, Fordham, and others, provides a richly integrated theoretical perspective on infants and children. Through clinical vignettes, chosen to illustrate the central themes in Jungian child analysis, this course will attempt to provide a comprehensive overview for discussion by the participants. This will include an examination of the ways current attachment theory complements and reaffirms earlier Jungian child work, as well as a review of the role of the sandplay movement in contemporary child analysis. A major goal of the seminar is to acquaint psychotherapists with the field of Jungian child analysis both to offer aspects of this treatment modality for general therapeutic work with children, and to stimulate interest in the uniquely Jungian approach. An individual completing this seminar should be able to utilize specific concepts of child development and Jungian theory to enrich and deepen their clinical work with children and adolescents. 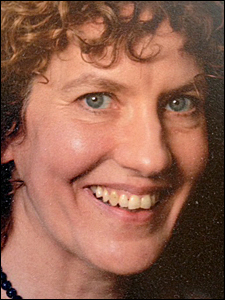 MARGO LEAHY, MD, is a child and adolescent psychiatrist and Jungian analyst who did her analytic training at the C.G. Jung Institute of San Francisco and the Society for Analytical Psychology in London. She also spent time at the adolescent division of the Tavistock Centre. She is the past Director of the Child Psychiatry Clinic at Stanford University, where she did her adult and child psychiatric training. Dr. Leahy has been in private practice as well as teaching and lecturing for many years. She is an Associate Clinical Professor of Psychiatry at UCSF and an analyst member of the C.G. Jung Institute of San Francisco. She is also a certified Jungian child and adolescent analyst on the iCAT faculty. She is a past member of the IAAP Working Party on Child and Adolescence. 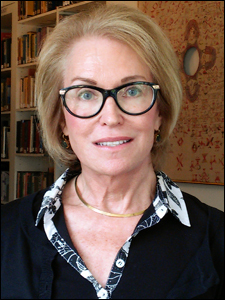 Brief Bio : Margo Leahy, M.D., is a child and adolescent psychiatrist and certified Jungian child and adult analyst who studied at Stanford University, the Society of Analytical Psychology in London and the C.G. Jung Institute of San Francisco. She is a past Director of the Child Psychiatry Clinic at Stanford and currently an associate professor at UCSF. She teaches widely, supervises trainees and is on the Board of Governors at the C.G. Jung Institute of San Francisco. Her private practice is in San Francisco. Archetypal, Developmental and Transference Aspects in a Sandplay Case of a 5-Year Old Boy with Separation Anxiety. The morning segment of this course will focus on archetypal, developmental and transference aspects of a Sandplay therapy with a 5 year old boy. This boy suffered from an uncontrollable outbreak of affect and severe separation anxiety as the birth of second sibling approached. He had been traumatized at age two with the birth of his first sibling, resulting in a too early separation from his mother. His present symptoms were derived from this earlier trauma being reactivated by the coming of another baby. As this case progresses we weill see how archetypal development from the realm of the Matriarch to the realm of the Patriarch progressed, how the ability to hold the opposites of good and bad in one object developed and how both the positive and negative transference helped this boy move forward in his development. Sandplay, being a right brain method, was an especially appropriate medium for working with this boy with early relational trauma because of the connection Sandplay has with the archetypal mother with the early mother-infant bond with the unconscious and with the symbolic, imaginal aspect of the psyche. In the second half of the course, the play therapy case of a young girl with sever social phobia will be presented. Other case vignettes will be explored and participants will be invited to discuss their own case work. We will discuss ways to understand the unfolding themes of the play from both attachment and Kleinian perspectives. Exploring how to enlarge the themes of the play and interpret the metaphor of the play will be demonstrated through case discussion. By "playing" in this seminar in the sea of our patients’ stories, participants can gain a deeper sense of the transformative potential of their own work through a deeper understanding of the uses of play. 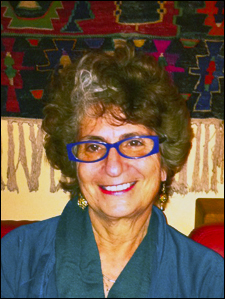 Liza J. Ravitz, PhD, is a Jungian Child and Adult Psychoanalyst, a Clinical Psychologist and a teaching member of the International Society of Sandplay Therapists (ISST). Dr. Ravitz teaches in the training program of the C.G. Jung Institute of San Francisco, has clinical practices in San Francisco and Petaluma and is an Associate Professor at Sonoma State University. For the past two years, Dr. Ravitz has been living in Taipei, Taiwan, practicing Jungian analysis with Chinese patients and teaching Jungian Theory as a Visiting Scholar at Shih Chien University. Dr. Ravitz has presented her work both internationally and nationally. Patricia L. Speier, MD, is a child, adolescent and adult analyst and member of the C.G. Jung Institute of San Francisco. Her academic appointment is as a Clinical Professor of Psychiatry at the University of California, San Francisco in child, adolescent and adult psychiatry. Dr. Speier teaches both locally and nationally on play therapy, and the treatment of anxiety and depression in children and adolescents. She also gives workshops on creativity in adults, among other topics. She has a private practice in both Berkeley and San Francisco, California. In Pan's Labyrinth Ofelia is a ten year old girl in 1944 during Franco's post-civil-war reign in Spain. The family is sent to a remote forest where her stepfather is a harsh figure who brutally hunts down republican rebels. Her mother dies in the birth of her son by Ofelia's stepfather. Ofelia's connection to symbolic life helps her mature and give birth to herself in a time of suffering and loss. We’ll discuss how symbolization can be shut-down and regressed as well as leading to an activation of the transcendent function that may assist one in times of trauma. Ms. Cunningham will also present clinical case material of children in her practice to illustrate the symbolic function of the psyche in Jungian analytic work with children. Lauren Cunningham, LCSW, is a child and adult analyst member of the C.G. Jung Institute of San Francisco, and teaching member of the International Society for Sandplay Therapy. Her analytic practice is in San Francisco and she consults for the Parent Participation Nursery Schools of San Francisco. 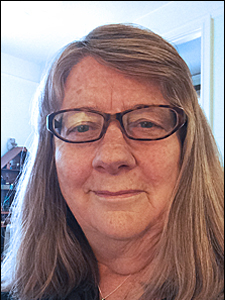 She is an associate professor at California Institute of Integral Studies, founding editor of Journal of Sandplay Therapy and teaches and presents on sandplay and Jungian analysis internationally. Expanding upon the theoretical contributions of Jung, Fordham, Klein and others, this course discusses the observational methods of both Alessandra Piontelli and Esther Bick. Prenatal ultrasound studies of singletons and twins conducted by Piontelli provide us with a unique view of life in the womb, demonstrating how specific events occurring prenatally carry forward after birth and how twins behave and interact with one another in-utero. Bick's naturalistic observational method, known as Tavistock Infant Observation, gives us a model for learning about infants and young children - not only developmentally and relationally - but most particularly with regard to the inner world of the infant from a depth perspective. Utilizing this method, clinician observers broaden and deepen their analytic skills as they increase their capacity to hold onto thinking while tolerating primitive states in the transference and counter transference. Attendees will have an opportunity to learn about and discuss young children in treatment as they symbolize their early wounds using the metaphor of play within the context of Jungian child psychotherapy and analysis. Cases presented will include those of two young children who narrated their deeply moving stories while working symbolically both in the sand and in play therapy. VIRGINIA HUMPHREY, PHD, is a child, adolescent and adult psychoanalyst and a member of the teaching faculty at the C.G. Jung Institute of SF. Dr. Humphrey completed her post-doctoral fellowship at Children's Hospital at Stanford in Palo Alto where she maintains a private practice. She has co-authored an article on infant observation published in the Journal of Analytical Psychology, June 2010, "Transcendence, transmission and transformation: the transcendent function in infant observation."